Roger Partridge’s self-effacing demeanour belies the obvious passion the Bell Gully chairman has for his firm as he discusses the issues facing it. 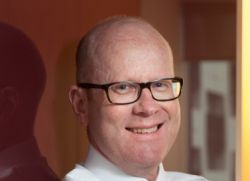 In his seventh year at the helm of what is arguably New Zealand’s largest legal practice, he would be entirely justified in blowing his own horn – not only did Partridge pull Bell Gully through the GFC unscathed, but he actually expanded its reach. Yet, when talking about his remarkable achievements, Roger quickly reverts to collective pronouns. “I think I’d like to be remembered for helping navigate the firm, successfully, through the most challenging economic conditions the country has faced in the last 50 years – and during that period we’ve grown our footprint. We’ve brought on 16 new partners, fabulous new partners. We’ve enhanced our reputation as what I like to think is New Zealand’s best law firm,” he says. A key component of Bell Gully’s success has been its international expansion strategy, particularly in Asia. Rather than looking at setting up shop in key Asian economic centres, however, Partridge says the firm has tailored its approach to focus on incoming investment. “Our Asian strategy is principally focused on attracting foreign direct investment into New Zealand – so the legal work involved in overseas corporations investing locally. Our focus is on building relationships with referral firms – international firms that are likely to refer their clients to us when they come to do a transaction in New Zealand,” Partridge says. However, he admits that Bell Gully has been less successful to date in building direct relationships with major Asian corporates before they look to invest in New Zealand. He says the size of the local economy “is sometimes just too small for us to get noticed”. A core internal focus during Partridge’s tenure has been improving Bell Gully’s track record in converting talented female staff into partners. When he took over in 2007, just 8% of partners at the firm were women. Though he admits the situation is still far from perfect, Partridge says understanding the nuances involved in promoting gender diversity within the partnership are a major priority. While women have comprised 50–60% of Bell Gully’s new recruits for a long time, and that gender balance is maintained for the next three to five years, women make up only a tiny fraction of those who make partnership. “I think there is a mixture of reasons for the gender imbalance. Work-life balance is an issue,and I think New Zealanders coming back from London, where there is much more of a nanny culture and a boarding-school culture, don’t come back to replicate the lifestyle they had in London but for the work-life balance that New Zealand offers,” Partridge says. The percentage of female partners at Bell Gully now sits at somewhere around 16%, nearly double what it was when Partridge started out – but he is hoping to see that figure hit 25% by 2015. “[This figure] doesn’t sound all that aspirational – we’re expecting to get there before that – but we wanted to set a challenge that was workable and achievable. “Fundamentally, I think it’s a waste of human talent if we don’t bring our talented women through and retain them in the partnership. To back up our reasoning, I think gender diversity is important to performance of the overall business, not just because we miss out on the investment in the people we’ve recruited and then trained but also we miss out on diversity of thought and approach,” he says. The global legal industry has changed dramatically since Partridge took the reins at Bell Gully seven years ago. A recent article by DLA Piper global CEO Sir Nigel Knowles claimed law firms face three options when it comes to the future: go global, go super niche, or go bust. Knowles argued that in a post-GFC climate clients want more from their legal counsel for less, and that competition between firms is fiercer than ever. However, while Partridge accepts many of Knowles’s arguments in a broader sense, he doesn’t believe they’re necessarily directly transferable to the New Zealand market. Bell Gully’s referral relationships in Australia have altered due to the slew of mergers and alliances across the Tasman, and the firm has a need to adapt to the new legal landscape in Australia and elsewhere, but Partridge doesn’t believe New Zealand is likely to become the target of major multinational firms anytime soon. That doesn’t mean the fate of the local legal industry is set to remain static. Partridge believes there are a number of issue facing firms in the near future, particularly when it comes to meeting clients’ expectations. And then of course there’s the economy, both local and global. Although New Zealand has forecast growth and healthy public sector finances, Partridge believes we are still very vulnerable to a further shock. However, while many analysts claim business takes a downturn during election years, Partridge says initial discussions with Bell Gully staff and clients have failed to detect any significant reservations. One thing Partridge says Bell Gully is aiming to do is improve on selling its specialist expertise in areas like climate change and geothermal electricity generation work, offshore, especially in southeast Asia and the South Pacific. On a more personal level, however, Roger is thoroughly looking forward to moving back into full-time practice. Partridge started preparing to return to fulltime practice two years ago and has been steadily building his practice up. He hopes his term as Bell Gully chairman will be remembered fondly by the industry and those he worked with through a remarkably unpredictable period. “I’d like to be remembered for helping the firm grow, maintaining and enhancing its reputation and its strength through really quite challenging times,” he says, “and having fun doing it”.